As we begin a new year, your sign is in the spotlight yet again -- and your 2014 Capricorn birthday reading by Eric Francis will be ready soon. If you pre-order now, you'll lock in the best price: $19.95 for an hour of astrology plus a tarot reading. "When I first purchased the reading I was floored by how much it resonated with me, and after a month or so of respite from having it on repeat in my car, it rings truer than before. Your reading provided me with great insight into my present state of evolution, which has been intense to say the least." "I am so happy to have learned of your work years ago. It is a spark of light in times of doubt and a reminder of my power to direct the myriad energies that abound in positive and productive ways. Please accept this email as sincere thanks for all that you do and for being such an incredible resource for my self-growth." While much is changing in the world around you, your inner landscape is also the site of some long-term, gradual reinvention. Between the ongoing Uranus-Pluto square, the powerful Capricorn New Moon on New Year's Day, and Venus currently retrograde in your sign, you're at the epicenter of evolution. 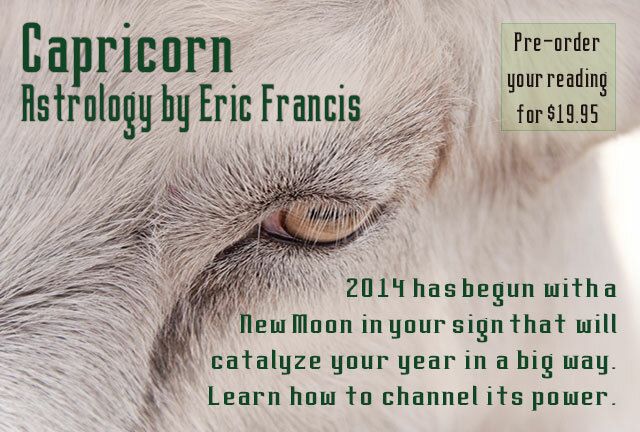 Capricorns are used to leading -- and Eric's birthday readings are designed for busy people who are forging a new path. The readings are downloadable to various listening devices, perfect to keep on 'repeat' in the car for an inspirational morning commute. The first two segments of the birthday reading are specifically about your astrology, and the third segment is an incredibly positive tarot reading using the Voyager deck by James Wanless. As one listener told us recently, "Even Eric's tarot card reading seems right on the center spot with observations, intuitions and thoughts I have had for myself going into this birthday anniversary time." 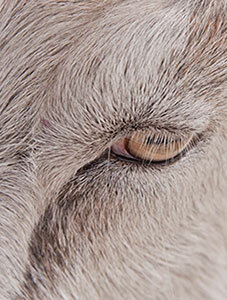 Welcome to 2014, Capricorn! Pre-order your 2014 birthday reading for $19.95 now, and get ready to co-create a year like no other.